They don't make bands like Mansun anymore, that's for sure. The arty, dramatic and over-the-top Indie Rock band from the depths of Deeside sprang up fully formed in the middle of the 90s Britpop era offering songs about cross-dressing vicars, oddball characters and a strange, small-town location to put them all in. The songs were melodic, colourful and incredibly diverse. Mansun knew when to rock hard, when to sound beautiful and when to let synthesizers and string sections have their place in a musical landscape dominated at the time by dodgy Small Faces copycats. 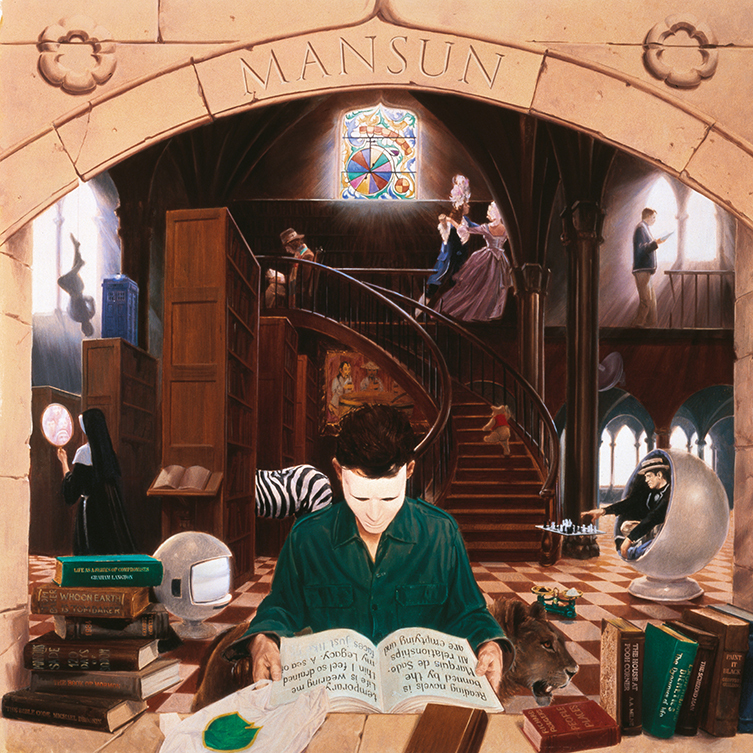 Mansun seemingly had their own world, like all great bands. This only increased with 1998's madcap opus Six, a sprawling, schizophrenic record full of references to Winnie the Pooh, Brian Jones' death, Doctor Who (there's a spoken word cameo by Tom Baker, no less), Scientology and eccentric 60s TV show The Prisoner. Mansun didn't waste any time. In the end, it was all too much and the band combusted less than two albums later. Since then, their first two albums (Attack of the Grey Lantern and Six) have become remarkable cult records, as British and as strange as Kate Bush whilst as inventive and twisted as Radiohead. The mystique has been increased by the relative anonymity of the members: rumours abounded about what became of guitarist Dominic Chad, bassist Stove King (his first name apparently a typo on his birth certificate) and drummer Andy Rathbone. 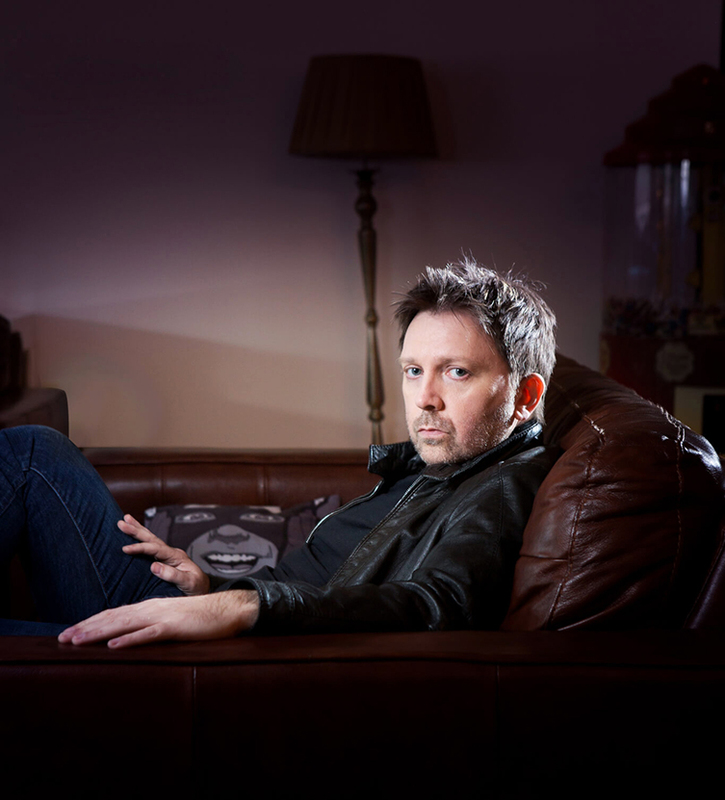 Stories of stolen cash, infighting, illness, substance abuse and even stints as ambulance drivers have dogged these mystery men since Mansun imploded in 2003. Lead singer and chief songwriter Paul Draper was the most visible member but even he refused to release new music or tour...until recently. 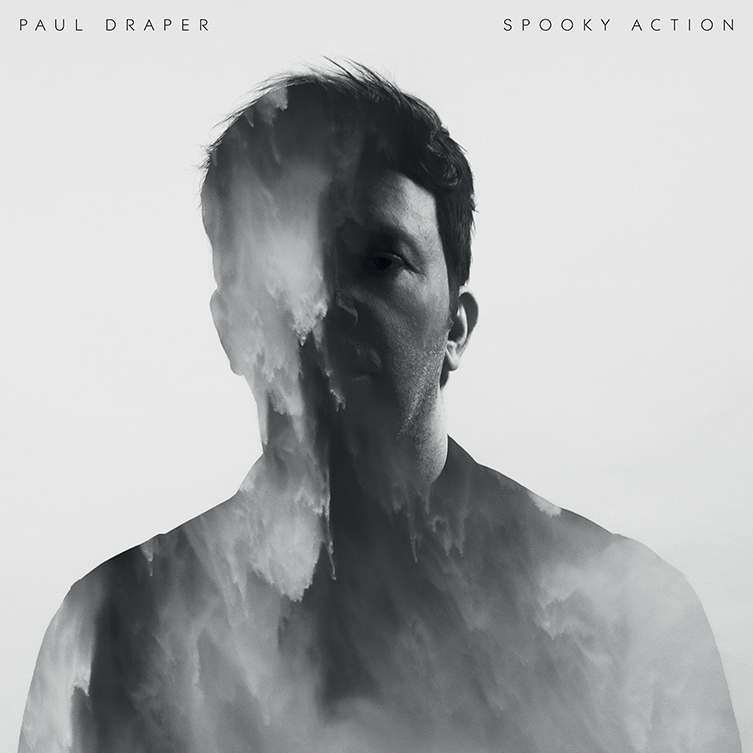 2017 saw Paul's long-awaiting debut solo album, Spooky Action, released to rapturous applause. His distinctive and operatic voice was back, as was his colourful and melodic songwriting. 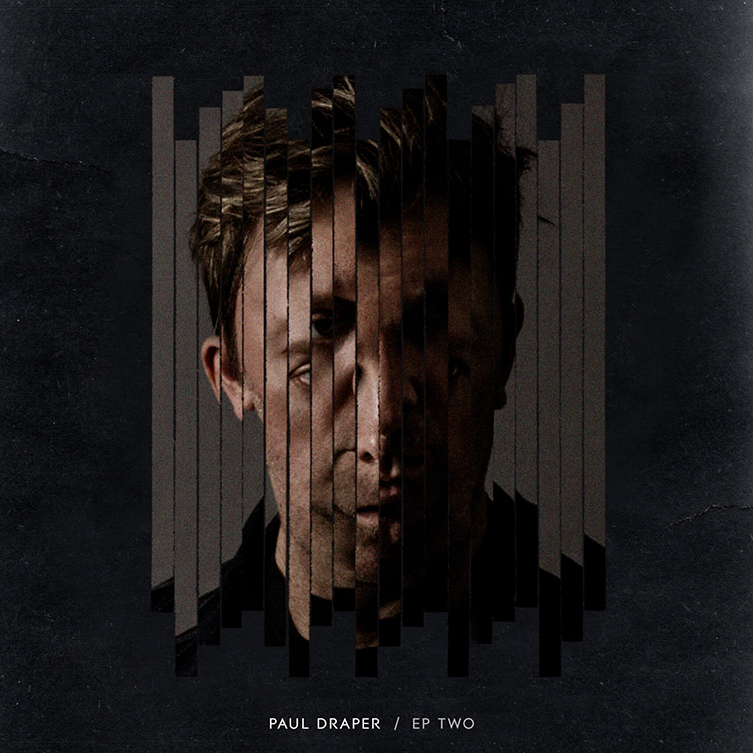 As it turned out, Paul had been busy producing and co-writing for years, happily under the radar. 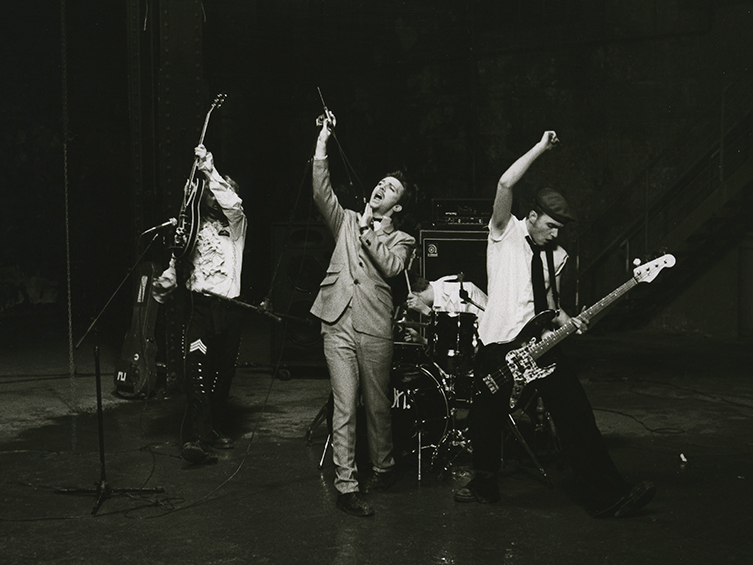 Multiple tours have ensued since Spooky Action's release, taking Paul and his band across the world. 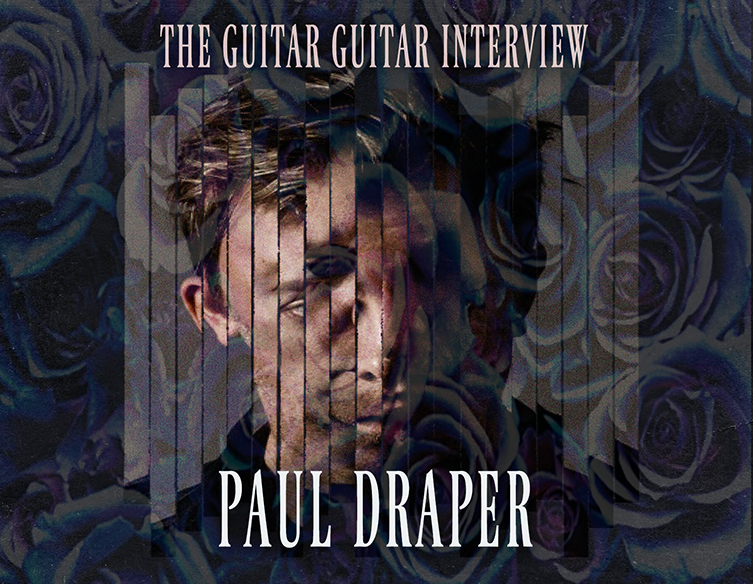 Now, on the eve of further tours in France and China, we managed to ask Paul about the mysteries of Six, the allure of hollowbody guitars and what to do (or not do, as it seems) to look after that Olympian voice. Hi Paul! Thanks for talking with us! You are currently busy with a successful solo career but before we get to that, let’s look at this 21st Anniversary of Mansun’s album, Six! At the time of original release, people didn’t know quite what to make of the album: it’s fair to say there was nothing else like it around in 1998! What was your overall vision and motivation for writing Six? Yes, Six was a unique record at the time and didn’t sound at all like what was going on in the charts or with other bands. It was also a very complex record and needs to be listened to a few times to discover the complexity and melodies inside the structure. It polarised critics: some just didn’t know what to make of it, some I suspect gave it one listen and some just wanted another Britpop record. This happens with albums that sometimes take time for people to appreciate, The Velvet Underground for instance, but it’s great that a whole new crop of musicians such as Blood Orange or Public Service Broadcasting have given the album longevity and a life of its own. 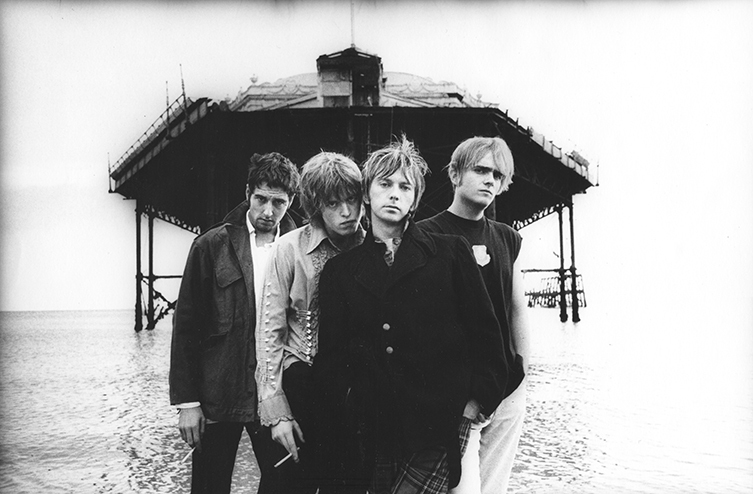 The overall motivation and vision with Six was to make something at the height of Mansun’s fame that was not just commercial, but challenging and unique, so we didn’t become just another pop group of the day, and Six, as well as debut album Attack Of The Grey Lantern, have outlasted Mansun and that’s great. It feels like Six has grown with stature over the years and assumed its cult status because, at the end of the day, it’s a really good record. The album polarised opinion at the time of release but has gone on to span its own kind of cult mythology. Even the cover art is something that fans have been debating and picking over throughout the years (the cover contains references to The Prisoner, Dr Who, Winnie the Pooh and lots more). How much of this is a surprise to you? Can you elaborate on any of the more secret or arcane themes that abound within Six? Well, the cover contained many details of the album's meanings and themes. Rather than go into any specific detail I’ll say that the reissue series of Six coming out in March, as well as Limited Edition heavyweight vinyls, has a 4 disc book set that has a fully detailed analysis of the artwork and its meanings, so if you really want to know what it’s all about just get hold of the 4 disc book which is great, 48 pages of analysis about Six in total by myself and esteemed editor of Record Collector Magazine, the UK's longest running music mag, Paul Lester. Ok but tell us one thing: what is the significance of the title? The title refers mainly to the character Number Six in the 1960’s TV Show, The Prisoner. However, the number 6 is a recurring theme through the album. Well, Six is a guitar record at its core. There are a couple of bits of piano, one bit of Fender Rhodes and a Harpsichord but everything else including the sound effects were generated by guitars. We had vast chains of effects pedals and rack processors treating a lot of guitar sounds, and we really wanted to make a guitar-based record after our debut Attack Of The Grey Lantern, which featured a lot of synthesisers and strings. However we didn’t want to make a straight-ahead guitar record, we wanted to try and do something unique with a guitar bass and drums set up, which I believe is the hardest thing for a guitar band to do, create their own sound. Throughout your career, you’ve always been quite bold with your use of sound, texture and effects. Do you think music should be more ‘colourful’ in general? Not necessarily, I listen to all sorts of music, complex and not complex. Mainly I’m attracted to good songwriting. The detail you're referring to in the records I make is probably due to the fact that I had my own recording set up as a kid and was messing about with home recording equipment from a young age. By the time I’d signed my first record deal I’d been saving every penny for years and booking professional studios to go in and record my songs, so using a recording studio is what it’s all about for me. Some artists are different but I love getting involved with the production and sound engineering. Singing’s low down my list of favourite parts of the record making process. One of your trademarks is your extremely versatile and distinctive singing voice. What kind of things to you do to look after your voice? Lol, nothing, absolutely nothing. However, I’ve given up smoking but still occasionally steal one if I’ve had a few beers. I do use vocalzone lozenges when I’m doing a gig, but aside from that I don’t walk around with a mask on or have any diet or special requirements. Wow, that is a surprise! Okay, now to guitars: Mansun had a couple of pretty famous Gibson guitars back in the day: you had a black and red Les Paul whilst lead guitarist Dominic Chad played an ES-335 with a graphic of the flower album art from Attack of the Grey Lantern on it. Do you still have any of these? And if so, do they come out on tour with you? When the band split up we sold all the equipment in our locker including the guitars. My black and red Les Paul Standard is now owned by a Mansun fan and Chad's 335 is owned by a collector. I use a USA Epiphone Casino as my main guitar now. A lot of your writing included characters and narratives about a kind of fictional town. This has led to your work acquiring its own mythos. Could you tell us a little more about that, please? And is that type of writing something that still inspires and interests you? You are referring specifically to Attack Of The Grey Lantern and my writing around that period, but yes I’d wrap up things I’d want to say inside the character or a third party, or the characters as you say. I’d say a lack of willingness to put my own emotions directly on the table at that point in my career led to me writing through characters. I’ve not written from that perspective for a while due to being more confident about expressing my feelings more directly, but I’ll definitely return to character-based writing, I’m mulling it over in my head at the moment how to do it. That sounds promising: we're looking forward to it! Your latest album, Spooky Action, has been a great success, especially with the Prog community. Is this a label you’re comfortable with? Why not! I’ve been called way worse so my debut album being nominated for ‘Album of the Year’ at The Prog Awards was an amazing achievement and I’m chuffed with that. I’m not traditionally Prog, I’m a sub-genre of Prog that encompasses punk, indie and stupidity (or absurdism as intellectuals call it) with a bit of funk and segues. You’ve also toured with Prog legend Steven Wilson (and will do again later in the month over in France): how has that been? Steven and myself have been mates for a while now and he’s invited me on a few of his tours. We’ve had a great time. We’ve also worked on a few tracks together: he’s a genius and top bloke. He’s a big fan of Six, which is how we become mates. Your music always has a great sense of drama. Do you think contemporary mainstream music is playing it too safe? A lot of mainstream music now is just drivel, like going to watch a superhero film in a Vauxhall Astra in an out of town shopping complex. Homogenised to death for profit. It’s safe deliberately to fit corporate needs. Some people love average music, but if you dig a bit harder around there’s loads of great new artists and music out there, not just Top 40 pop. We couldn't agree more. Who are your biggest musical and writing influences? Abba, Prince, The Beatles, Bee Gees, Kate Bush, Motown, Bowie, Depeche Mode are up there as my faves but I like all good songwriters and musicians, I’ve got a wide taste. I really love Dolly Parton and a lot of old school country. I’ve seen you playing Rickenbackers and Epiphone Casino guitars: are you particularly into hollow body guitars? I must be, I don’t know why. I never used to be. Even my Telecaster now is a USA Fender Custom Thinline with an f-hole, which was a Fender special run. I love it so much I’ve sold my standard USA Tele I used on Six to a collector and use the Thinline as my backup to my John Lennon 1965 USA Reissue Epiphone Casino. I also have a 70’s Epiphone Riviera which sounds off the clock. I didn’t realise I was so into hollow body guitars till now! Haha, well, that's the by-product of me being a professional geek! What else do you use equipment-wise, when you are on tour? I use a Blackstar Artisan 30 which I got direct from Blackstar and it’s the best all-round amp for tone and reliability that I’ve tried on tour. Apart from a tuner pedal, my guitar goes straight into the Artisan, crank it up and that’s it, I just play heavier and lighter for dynamics and crunch. Plug in and play, it worked straight away for me so I’ve stuck with it until someone shows me something that’ll beat it. Which I haven’t found. What do you normally write on at home? And what do you use to record demos? I write on my Gibson J45 acoustic or a small Bentley upright piano I’ve got in my lounge. I need a new 12 string acoustic as I like writing on 12 string as well but sold my Martin 12 string so I’m in the market for a new one. I don’t make demos, I just do the finished thing so my set up at home is pretty comprehensive. Pro Tools HD and Avid HD I/O. A Neve 8816 as my monitoring section and all my outboard connected to this on 2 Bantam patchbays, old school but very hard to beat. At present, I’m recording thru API mic pres and Chandler TG & REDD pres. Everything I record goes through that gear. I have a collection of mics and outboard, guitar amps and anolog synths that go through my set up. I can record a full drum kit on my set up at home. After the Steven Wilson tour, you have two shows in Japan. Then is it time for a new solo record? What can fans expect? The 2 Japanese shows have become 5 as the first 2 sold out. Then I’m off to do 3 shows in China, then a couple of acoustic shows in the UK the week of release of the Six reissue. My second solo album is a few months away from completion then I’m going on the road with my full band in the UK later this year. In terms of how my second solo album is sounding it’s more severely rockier and stark anolog synth sounding simultaneously, a progression from Spooky Action. That's great about the extra shows! And the new stuff sounds like it'll be really exctiting, I'm looking forward to hearing it! Thank you very much, Paul! We can’t wait to see you on tour! Thanks and see you on tour later this year! 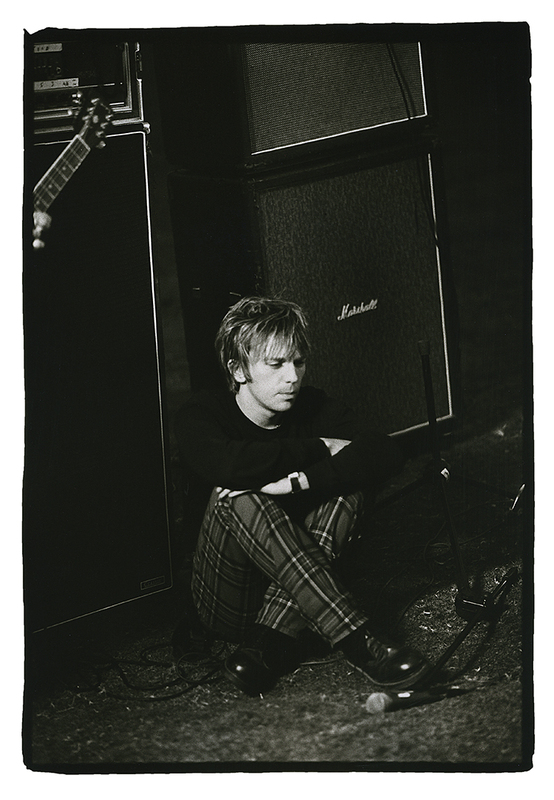 Keep up with Paul via his official website and investigate all things Mansun here. Paul is on tour throughout the year. The reissue of Six will be released on 22nd March through Kscope records. We'd like to thank Paul for taking part in this interview and to Simon Glacken for helping to organise it.